A magistrate has shown Michael Rogers mercy, giving him a further 12 days in jail in the hope his bravery in Bourke Street last year will be a circuit-breaker. The man who rammed the Bourke Street terrorist with a shopping trolley has briefly appeared in a Melbourne court. 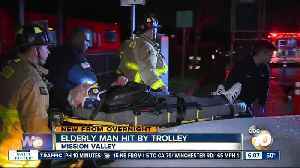 ▶ Videos for "Trolley Man"
A man who appeared to be struggling with his umbrella was hit by a trolley train near the Hazard Center Station. 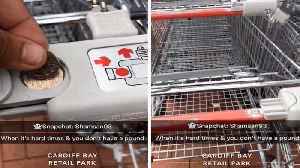 By Charlotte Regen A man has come up with a genius way to hack the use of coins in shopping trolleys. Not everyone always has a pound coin on them to put in a trolley and this man from Cardiff came up..
Michael Rogers, 46, has been charged with stealing goods on Wednesday from an East Melbourne apartment. Bourke Street's Trolley Man has vowed have a good crack at staying out of trouble after being granted bail on Saturday. Melbourne's trolley man who tried to help police after last week's Bourke Street attack is facing burglary and theft charges. Melbourne's trolley man who tried to help police after last week's Bourke Street attack will face court on burglary charges after handing himself into police. He faced down a murderous terrorist, now Melbourne's homeless hero will face his own day in court. He touched the heart of Australians with his bravery, but "trolley man" is sought by police for burglary. A man dubbed a “homeless hero” after he tried to ram a shopping trolley into the terrorist in the Bourke Street attack is wanted for questioning over a spate of recent burglaries, police have.. 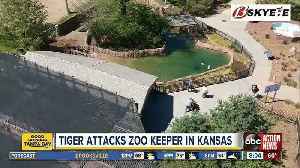 The public must consider the possible consequences of taking action if caught up in incidents like those in Melbourne. A crowdfunding campaign has raised tens of thousands of dollars for the man who heroically attempted to assist police with a shopping trolley during the Bourke Street mall attack.